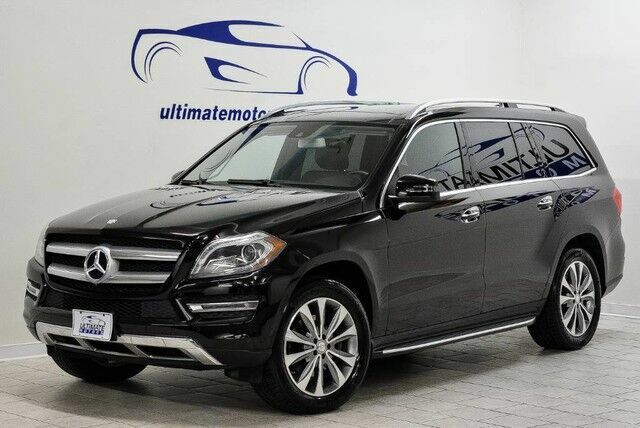 An exceptionally clean and highly optioned 1 Owner 2015 Mercedes Benz GL450 4Matic with ALL service records, and a clean Carfax history report. This one owner GL450 is a garage kept Mercedes Benz, and it is in excellent overall condition. All service records are documented, up to date, and performed by our local Mercedes Benz dealer. This GL450 is highly optioned with Panoramic Sunroof, Lane Tracking Package w/Blind Spot Monitoring and Lane Departure Warning, Surround View Camera Package, Parktronic Park Assist w/Rear View Camera & Parking Sensors, Keyless Go, Heated Seats, Lighting Package w/Bi-Xenon Headlights, Accessory Chrome Package, Premium 1 Package with Harmon/Kardon Premium Sound with Navigation System, Bluetooth Audio & Phone, Satellite Radio, Running Boards, Power Liftgate, Premium 20 inch Wheel Package, Factory Tow Package, Appearance Package, and all standard Mercedes Benz safety and luxury features. The stunning Obsidian Black Metallic exterior has a very brilliant and crisp showroom shine that's free of any dings, dents or scratches. The blemish free Black leather interior cabin has the original Mercedes fit and finish throughout. It's completely odor free and looks to have been very well maintained since new. We completed a thorough pre-purchase inspection and found everything in excellent working order. A very complete and up to date service history is free to view on the Carfax report. We have very competitive interest rates and warranty packages that can be tailored to fit your budget and all your driving needs. Please give us a call at 804-378-8656 or visit us 24/7 @ www.ultimatemotorsva.com There's more to a pre-owned vehicle than price. Please come see the difference.